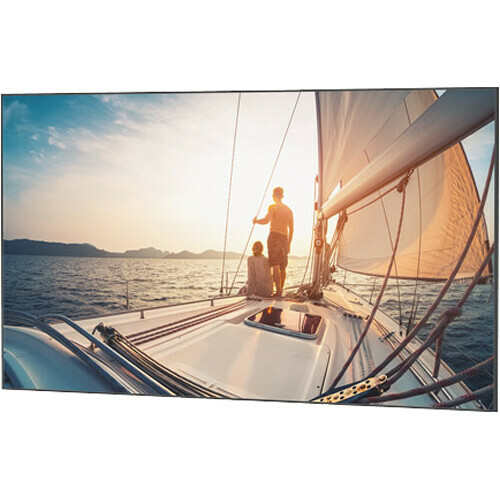 The Da-Lite 24395 57.5 x 92" UTB Contour Fixed Frame Screen has an ultra-thin bezel and acid etched black aluminum frame for keeping the audience's focus on projected content. The HD Progressive 1.3 surface has a 1.3 gain and 150° viewing angle, with black backing to prevent bleed-through and retain brightness. Its low-profile flat-panel design allows it to sit 1.38" off the wall. The front lip of the bezel is .25" wide all around the viewing surface, which sits .13" off of the inner frame component. 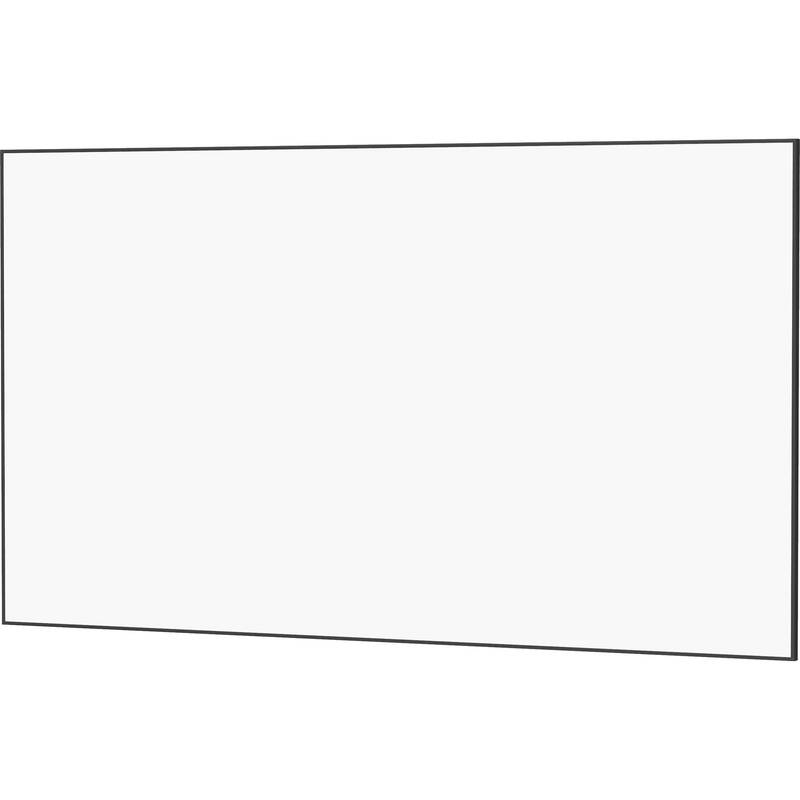 The HD Progressive 1.3 surface is ideal for applications where projector brightness and screen size require an increase in gain. The pure white HD Progressive surface offers true color reproduction and allows for more flexibility with ambient light conditions. The seamless surface also allows for easy viewing of detail in video as well as charts and graphs in a corporate setting. The screen comes with reinforced black binding on all four sides. The surface wraps around the frame and attaches to it with metal grommets. The HD Progressive 1.3 surface can be cleaned with mild soap and water, and is flame-retardant and mildew-resistant. It is also GREENGUARD GOLD Certified. Box Dimensions (LxWxH) 100.5 x 9.0 x 8.25"